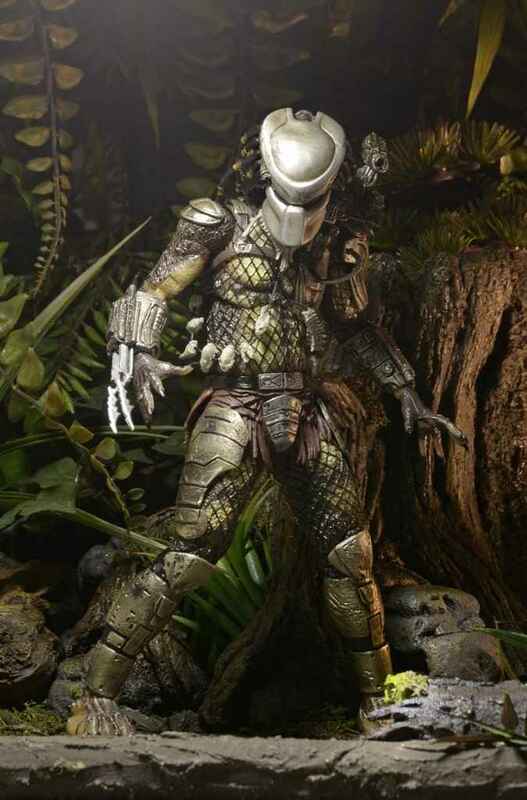 From the 1987 film Predator, we present NECA's definitive collector’s version of the Jungle Hunter Predator. 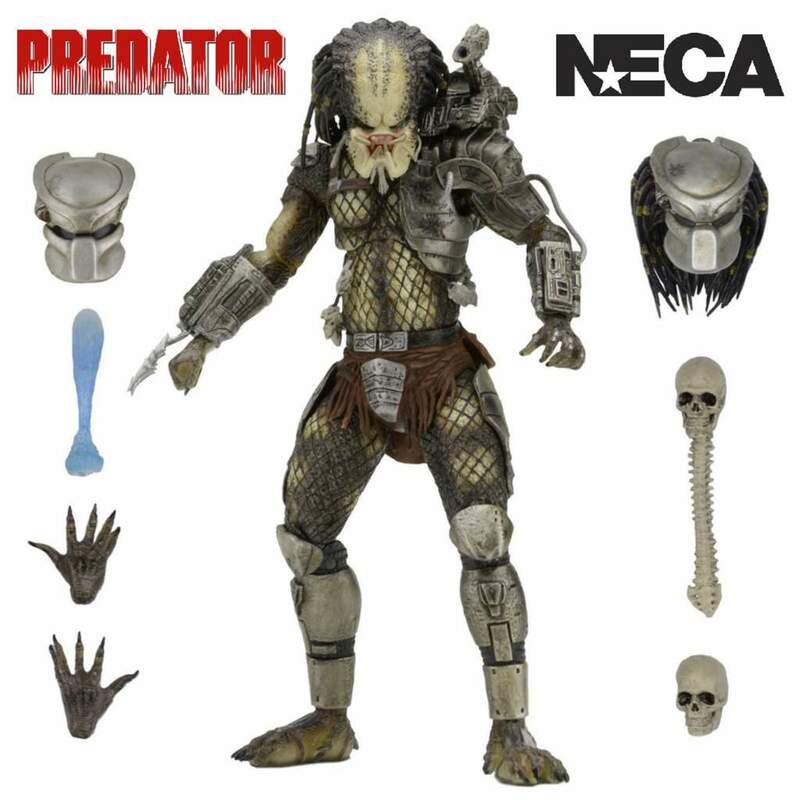 At long last, NECA has brought back the classic Predator from the original 1987 movie. 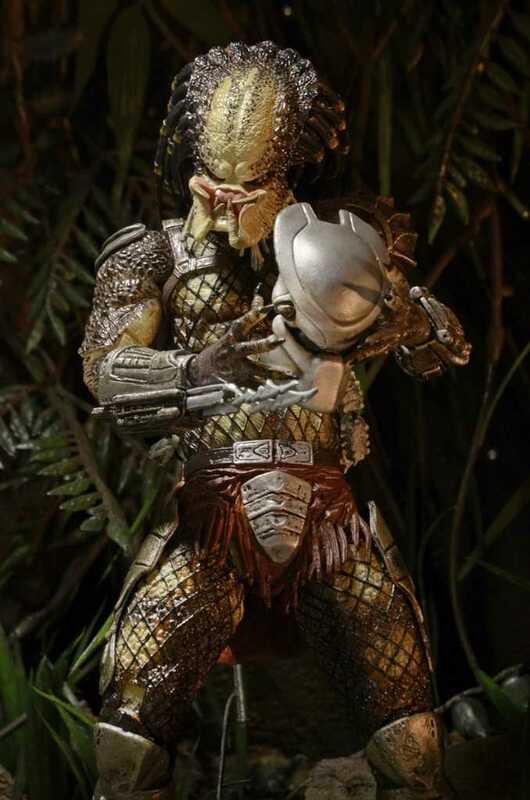 This is the definitive collector’s version of the Jungle Hunter which also includes some huge upgrades. 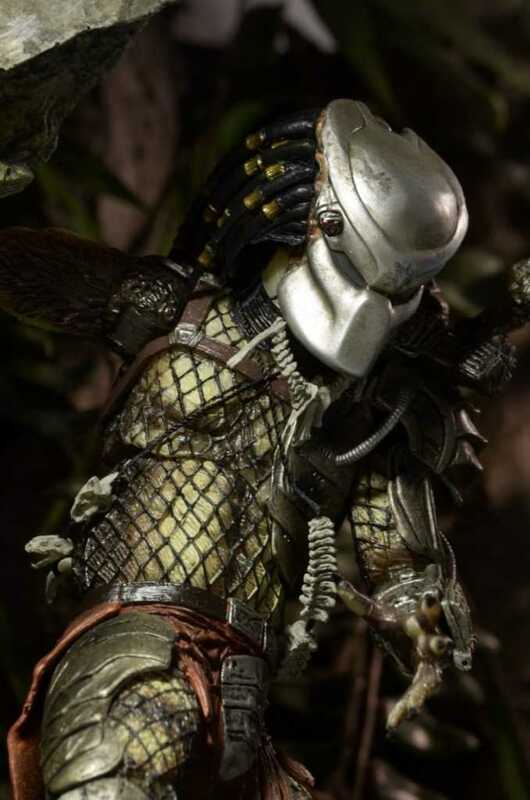 From NECA's Ultimate range of figures, the Hunter has now received the “Ultimate” treatment, including additional articulation in the biceps (bicep swivels), elbows (double elbow joints) and torso, plus an opening gauntlet! 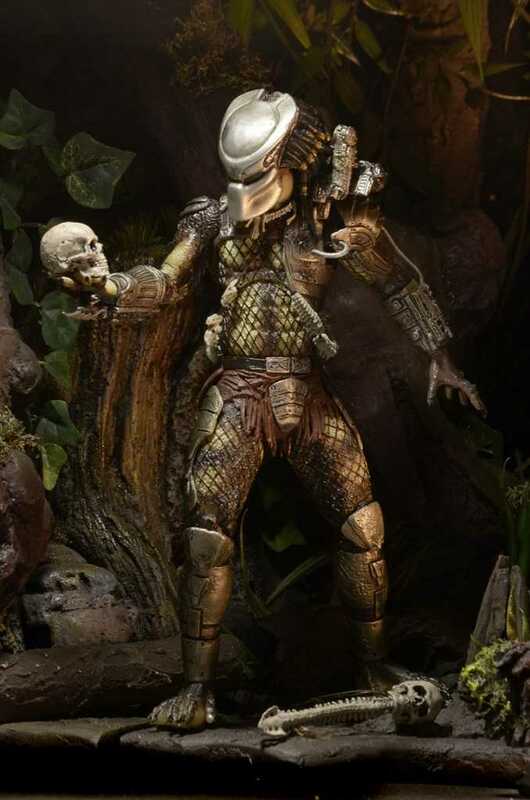 This Jungle Hunter Predator includes interchangeable heads and hands, plus a skull and spine, mask, cannon blast effect, human skull and a removable backpack. Comes packaged in a collector-friendly deluxe window box with opening flap.